There may be tons of beautiful landing page templates to choose from in Unbounce, but have you ever built a page from scratch? Starting from a blank page is a great option if you want complete control over your visitor’s experience OR if you have a landing page mockup you’ve designed in-house already. And even if a blank page makes you nervous now – you’ll find that building from scratch is a lot less intimidating than you think! 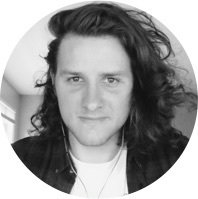 In this workshop, Unbounce Product Designer Cole will build a landing page from scratch and walk you through the whole process. From re-creating existing designs from Photoshop to tips for approaching your blank page with conversion-centered design, he’s got you covered. As Product Designer at Unbounce, part of Cole’s responsibility is to ensure that Unbounce builds the right templates for their customers on an ongoing basis. Not only has he designed and built some of those templates himself, he’s tested their performance first-hand in marketing campaigns for his own business. Besides leveraging brand spanking new templates for personal gain (er, science), Cole spends his time on design, illustration, leather goods, and tea. The tips and key takeaways were really useful, and I also like that it was informative. It was Great!!! Got to know the key points that need to be taken care of.